1. 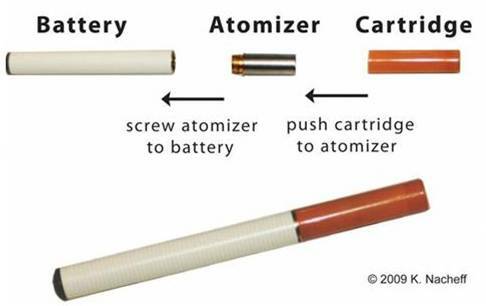 The cartridge (or cart) contains the porous material that absorbs the e-liquid and makes it available to the atomizer. Shown below is the large cartridge of the DSE801, with the stuffing pulled out a bit by those tweezers. 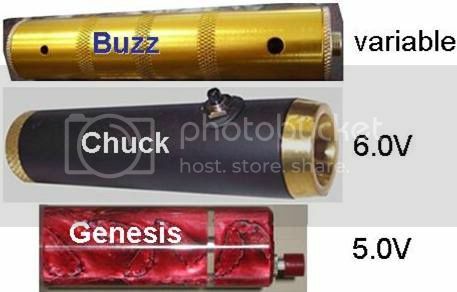 In many models, such as the 901 and 510 (and the eGO which uses the 510 atomizer and cartridge), the cartridge and mouthpiece are integrated and can be either flat (“whistle”) tip as in the 901 (and 801) or round tip as in the 510. Since cartridges are not as effective in delivering e-liquid to the atomizer as many vapers would like, some of us choose to “drip” the juice directly on the atomizer wick. Recently, special drip tips (mouthpieces with a hole into which the e-liquid is dripped) have been made available, replacing the cartridge. 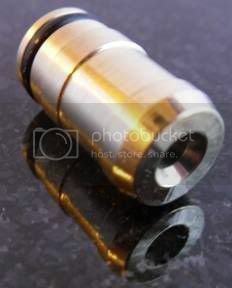 These can be metal, as shown in this photo, or delrin (a type of plastic). The atomizer is a stainless steel tube with a ceramic pot inside containing a heating coil. It is the brilliant technological part. It has an arched steel band on top that protects it. It, as well as the pot, is wrapped in 2 or 3 layers of stainless steel cloth. It also has high temp wicking material that connects the arched band to the coil. The steel cloth acts as a wick as well, ensuring that the coil and pot are always surrounded in fluid. When you take a draw, it activates the battery and heats the coil, thereby vaporizing the fluid. Nothing is burning; you are merely boiling the fluid, and inhaling the vapor. It’s just a vaporized liquid. It is important that this coil stays saturated in fluid, if not, it will burn the residue, taste bad, and eventually burn out like a light bulb filament. 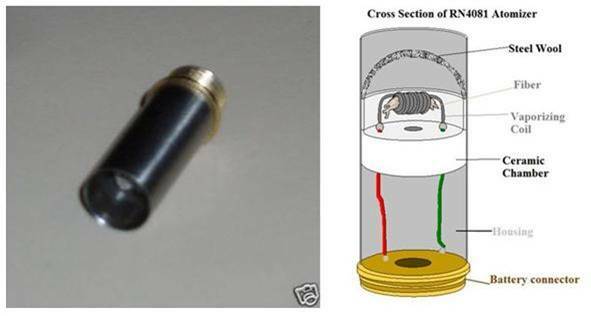 With the exception of the RN4081 shown in the previous photo, most super-mini atomizers have exposed wicks (useful for “dipping” described in Part III) as shown here. 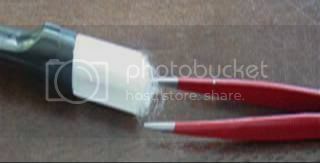 As shown in this photo of the two ends of a 510 atomizer, most mini and penstyle wicks are unexposed, sitting inside a tube – enabling non-messy “dripping” (another alternative to refilling carts described in Part III). 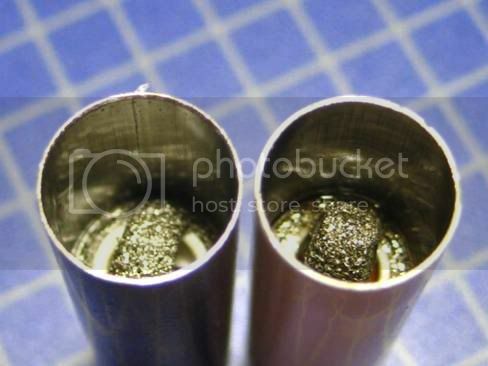 And the steel wool wick can be “low bridge” (more effective with cartridges) or “high bridge”, as shown in these two versions of the atty for the Mini sized DSE901. It has a computer chip and a little silicone flap connected to contacts that activate it. The computer chip also shuts down the battery, if you have taken a draw exceeding several seconds or if the voltage is low and it needs recharging. Some batteries, however, have a very different shape, rising out of the concept (typical in Mods) of a unique battery housing using generic batteries. The example shown below is one of the versions of Imeo’s GG with its alternative battery options. With the same atomizer, the higher the voltage, the greater the intensity of the vape (and the greater the risk of burning out the atomizer). [Notice the similar comment above about atomizer resistance.] This is explained in more detail on page 5. The mAh (milliamp hours) – determines how many puffs before the battery needs to be recharged. Slender batteries (in models that look at least something like an analog cigarette) range from 90 to 280 mAh. The newest category of e-cigs, the Fat Batts, have wider and much higher capacity batteries, such as the eGO’s 650 mAh. The larger mods can be as high as 4000 mAh. The switch (how the battery is engaged). 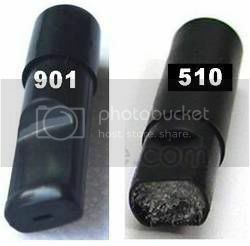 Most e-cig batteries originally had an automatic switch (e.g., turned on by sucking on the mouthpiece or by sound or movement) as in the DSE901 battery shown on the left. An increasing number are manual (turned on by pressing a button on the side of the battery) as shown in the photo on the right of the 510 batt and in the eGO and GG above. 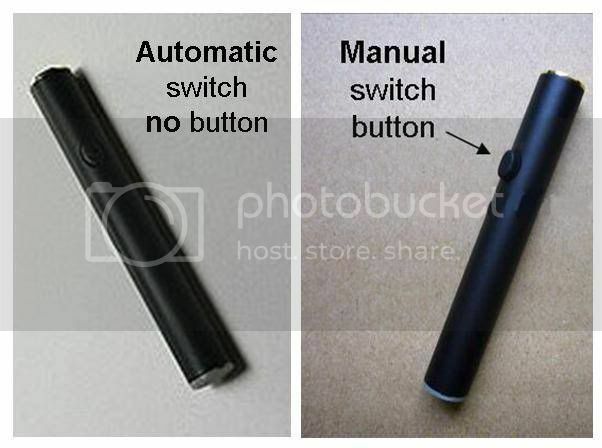 If effectively implemented (as in the Joye 510, eGO, and most mods), a manual switch battery can provide a more reliable, in-control vaping experience. They are very popular because you can take as long a draw as you like, and are less likely to malfunction. 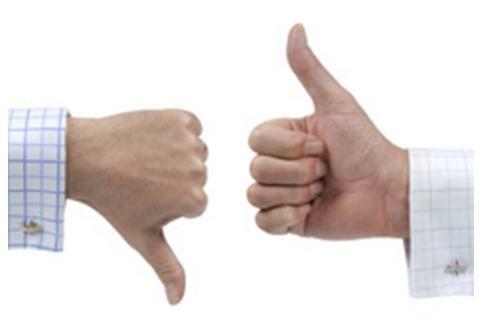 The same cannot be said, however, about DSE801 and 901 manual batteries. Sailebao jumped on the manual bandwagon and they’re not perfect yet (although they are improving). I’ve found that the button (more recessed than the 510 or eGO) often sticks and can get lodged inside the housing. Oh, there usually also is an LED indicator light at the end, simulating the lit end of an analog and indicating whether the battery switch is on or off. 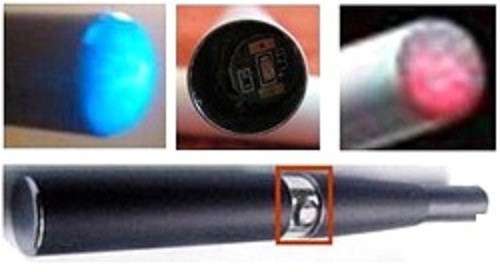 Often there is a choice of LED colors, e.g., blue or red. On the Fat Batts, instead of an LED at the end, the button lights up when pressed. 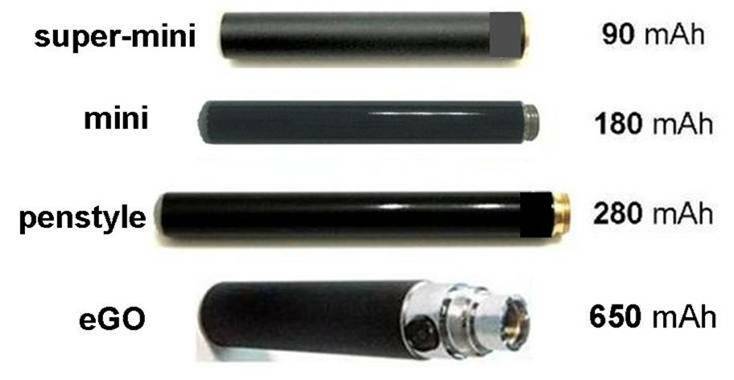 The most typical colors of the e-cig itself are black (shown in most of the above photos, either matte or glossy), white (shown below, with white or other colored cartridge/atomizer), and silver/chrome/platinum/stainless steel (in fact, all are stainless steel, although some are shinier than others, e.g., “titanium” is not made of titanium ;)). 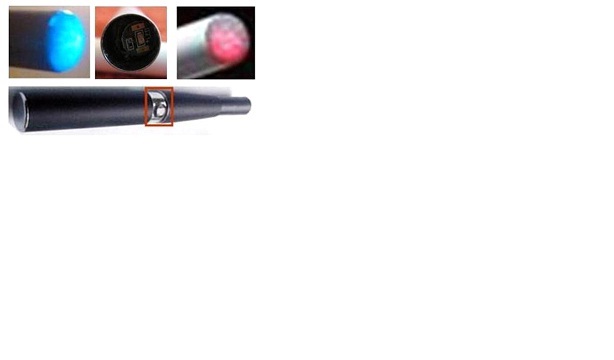 There are even red, blue, green, copper … and pink e-cigs. And some have pretty designs on them.